As a lover of autobiographies, it is no longer news that success stories appeal to me. I mean success stories that have no solid ladder they climbed to reach stardom. Such stories encourage me to make dig deeper. What I mean by this is that success stories of brands which grew from nothing into something without any for illegal behaviours. Last weekend, Saturday night to be precise, I was watching a paid TV channel-OneGospel. In one of its programmes tagged ‘Revelation’ I watched an interview session with Rebecca Malope: popularly known as ‘Queen of the South African gospel. She is a South African who came from a very poor background. She was out in life early making effort to fend for her siblings. She was so desperate to make ‘their Christmas’ what it was for some well-to-do people. Then she discovered she had a talent-Music/Singing. She was so poor she could not attend or pursue formal education until probably after her twenties. Her first musical contract was done without her knowing what the content was because she could not read, write nor speak English. She did confess that initially she was timid. But desperation to break free from poverty and strong desire to known for something could not allow her to let goal of her dream. She often looked at late Brenda Fassy as a formidable challenge. She had to make hard decision in the course of her career- she decided to move to Johannesburg, the commercial nerve centre of her country. Despite Rebecca Malope’s poor background, the brand is now a prosperous brand within and outside South Africa. Today, at forty-three and having being in the industry for twenty-seven years, Rebecca Malope’s brand continued to wax stronger and better. When asked why she stayed on, Rebecca’s response was dedication, mastering your talent and persistence as some of her key factors. So what excuse are you giving yourself from being a successful brand? Before we answer that let us examine other salient factors that had helped Rebeccca Malope’s brand. Love yourself: The beginning of every progress is a passion that believes and sees good quality in the brand. If there is no strong believe in the brand that it has potential to be successful. No matter the circumstance for now, each brand custodian must constantly build up enough confidence in the prosperity of the brand. 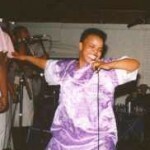 Despite Rebecca Malope’s poor background kept a positive spirit. Education: Education does not need to be formal all the time. We need street education. But the impact of formal education is not small. So get education if you can. Imagine having to sign contract and you do not have an idea of the content just because you cannot read, write English. The impact of knowledge on successful brand building is vital. Due to Rebecca Malope’ experience she counselled people to give high priority to education and knowledge acquisition. Watch and learn about other people’s mistakes and yours: Another lesson here is that brand needs to watch and learn from others’ mistakes and theirs. Mistakes are not to stop you, they should motivate you to strive for more through proper understanding of what will not work. Manage fame: Rebecca counselled brand to learn how to manage fame. Fame has capacity to destroy or make a great brand. Invest: when she was her trick of celebrating herself. She responded ‘ I love to invest in houses’ she said she placed her value on investing in houses than cars. Find what appeals to your brand and invest in it: Never forget to make great investment in the brand that produces the golden egg too. whoah this blog is great i love studying your posts. Keep up the great paintings! You know, many persons are looking around for this info, you could help them greatly. I love Rebecca Malope I think she is the most precious women in SA and her music motivates people to persue their dreams .